Flood damage can cause extensive water damage in your basement and its effects can seem catastrophic. 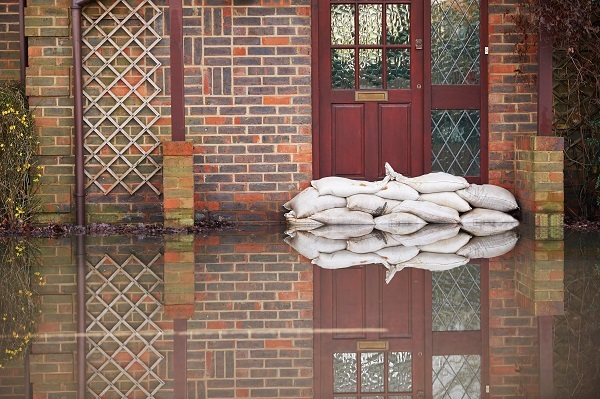 If your home has experienced flood damage, don’t panic. Our experienced, friendly professionals have everything it takes to get your basement and home back into excellent condition and provide you with a warm, usable space. Your home is a big investment and as a full service flood damage restoration company, we work hard to deliver everything you need to get your home back to looking its best. It’s important to call a professional as soon as possible after your home has been flooded. If left too long, flooding can damage your home via the warping of wood, promoting mold growth, and contaminates from silt posing a health hazard in addition to getting everything dirty. First, we will inspect your home to determine the severity of the damage and and provide you with a free estimate. Then, we will remove as much water and moisture from your home as possible with large, professional equipment like shop-vacs, high powered fans, and dehumidifiers to dry your home and prevent further damage. The drying process could take several days to several weeks, so it is important to be patient. If the flood damage was minimal and only drying was required, we will double check your home to ensure no further treatment is needed and remove the equipment from your home. If further action is needed, we will make the necessary repairs to restore your home via waterproofing and remodeling or refinishing your basement upon request. We understand how important great business relationships are, and we work hard to make sure that we can count you among our return customers. You’ll see that we absolutely understand how much you value your home. Our friendly, experienced professionals do everything they can to rest your mind at ease and ensure that you’re totally confident in their abilities. We never use subcontractors, and we’re always ready to start your project. Our friendly professionals are committed to delivering the kind of top notch overall customer experience that you’re sure to love. We understand that being the right company for you takes more than the right equipment, the best professionals and a lot of hard work. It takes a real dedication to delivering the best customer service that we can every time. As a full service basement restoration and waterproofing company, we’re happy to provide everything it takes to get your basement exactly the way that you want it. Whether it’s as simple as water damage restoration and black mold remediation, or as complicated as finishing or remodeling, we have what it takes to deliver. You’re sure to be surprised at just how quickly we can change your uninviting, dark and damp basement into a warm, usable room that you and your family will love. We offer flood damage repair services in Richmond, Virginia as well as Midlothian, Fredericksburg, Charlottesville, Williamsburg, and Ashland.